Join the BNB crew at Fort Worth Cabela's for the Sportsman's Alliance Trail Blazers Kids event. Big country, big whitetails, big hearts and big family ties – Bullets & Broadheadsis a true grit, real story, Texas country hunting-outdoor show. For generations, the Hendrickfamily grew up harvesting trophy wildlife from the far stretches of Texas underbrush. Today, Michael, Sonia, Michael J. and Mckenzieshare those traditions in search of their next monster whitetail. Texas is big country, where the hunts are wild, the people are a dose of southern comfort and family blood comes first. 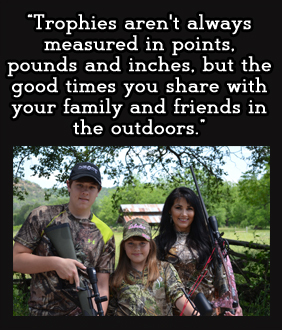 The Hendricks bring Texas living, community and conservative hunting to viewers across the nation.